This supporting image is unique because it shows 2 beasts mouths together creating an entrance into the depths of Hell. The mouths of Hell are packed full of unworthy people and are being locked out by an angel with a key to the gates. 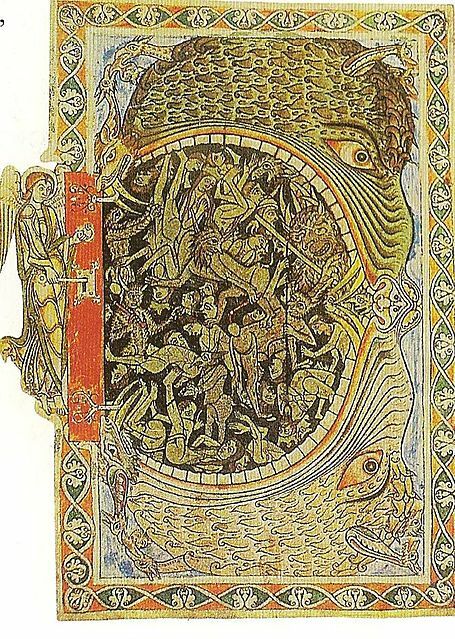 This image is called Hellmouth, locked by an archangel, from the Winchester Psalter of about 1150.